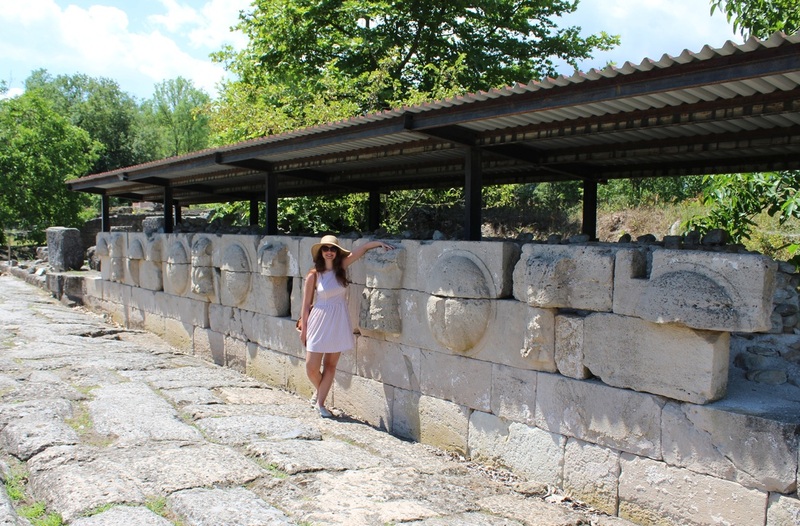 This guide covers the Editor's visit to Greek Macedonia in June 2016. 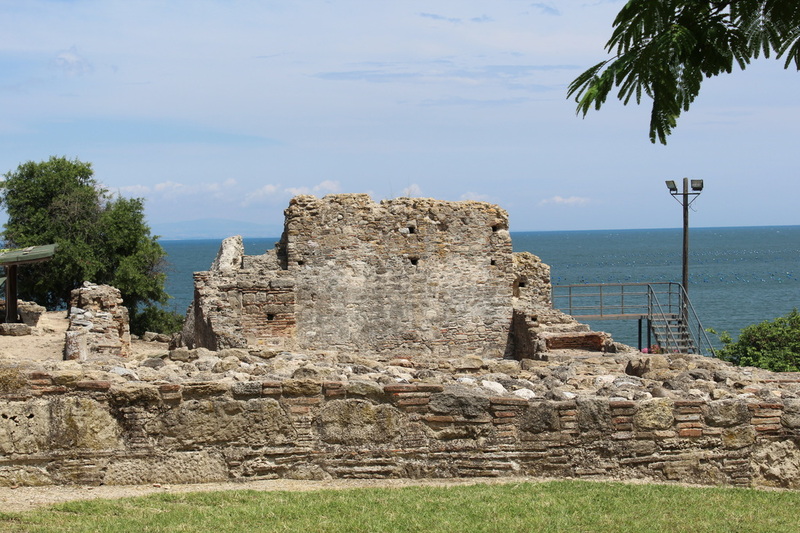 No visit to Macedonia would be complete without a visit to the key sites of the Kingdom of Macedonia. Let's start with the capital Pella. The site is still being excavated, but you can get a real feel for the scale and prosperity of this city. I did wonder why it was so far from the sea, but all is explained when you see how much the coastline has changed over the years - it was actually only 20km from the coast. The palace was on top of a slight hill and would have dominated the city. The Agora is huge and reflects the trades that worked in the city. 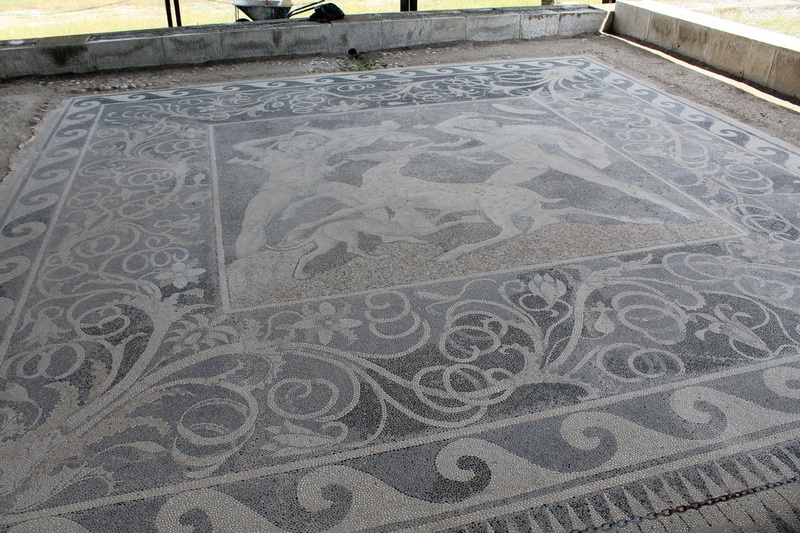 The mosaic's are also impressive.The new museum has a wide range of artefacts found during the excavation and is very well laid out. 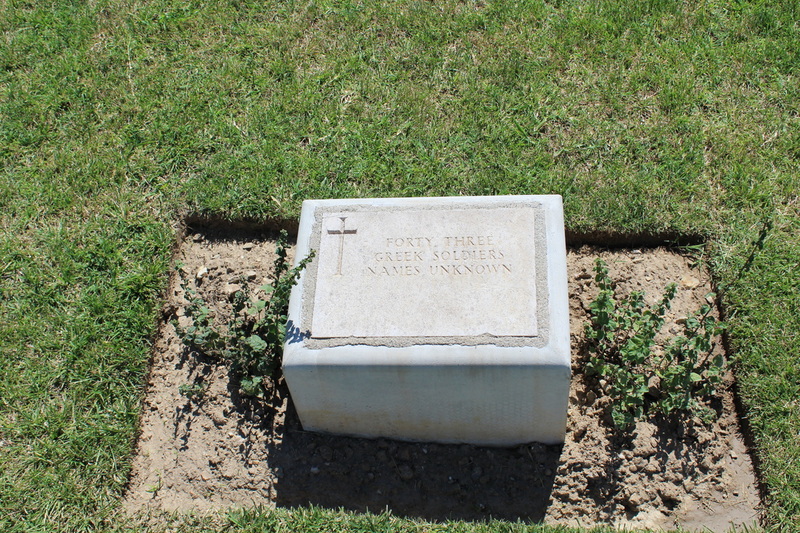 There are only a few military items, other than large case of helmets and swords found in graves. 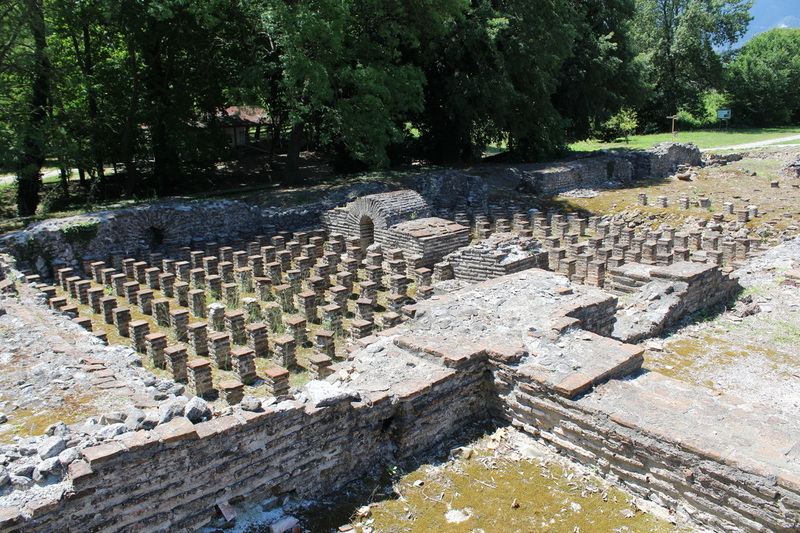 Then the important port city of Pydna. Sadly not a lot to see here, other than some later Byzantine additions. The modern harbour may not be based on the original. Some of city is now under the nearby railway and motorway. Pydna gives its name to 2 battles between Macedon and Rome in 168 BC and 148BC, although the former is the more important as the Roman victory ended the Antigonid line of Macedonian kings and confirmed the Roman conquest of Greece. The later battle was more of an uprising. The site of the battle is not really known, but the best guess is somewhere near the village of Nea Ephessos. The Roman army commanded by Paullus had elephants in this battle, which I always think is a very un-Roman weapon. The Romans won by withdrawing, or being forced back, over rough ground that broke up the cohesion of the phalanx. This allowed the legionaries to get inside and use their swords. The mystery is the ineffectiveness of the Macedonian cavalry. It is speculated that as nobles they were disaffected from King Perseus's populist policies. Next up is Dion, the temple city that the Macedonian kings visited before setting out on campaign. Alexander came here before his Persian campaign. 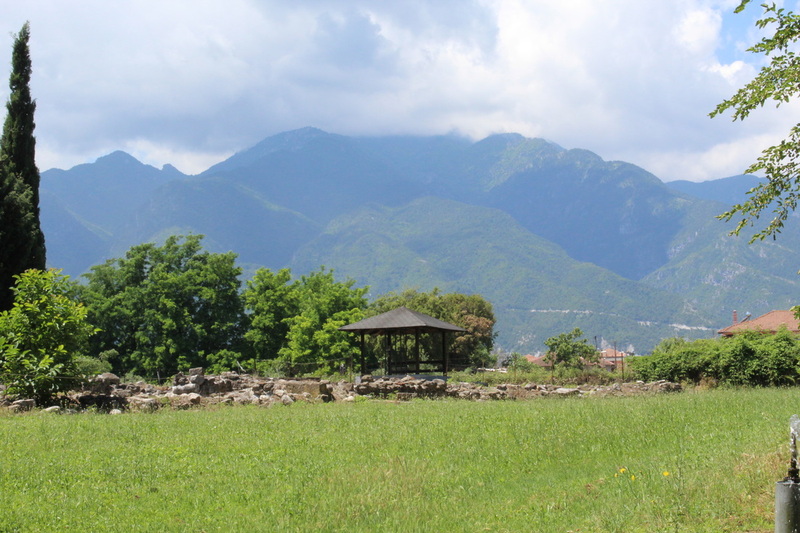 It is sited close to Mount Olympus and was established for the worship of Zeus and his daughters the Muses. A city was built adjacent to the sacred sites. This is another big site, so allow some time to walk around it. 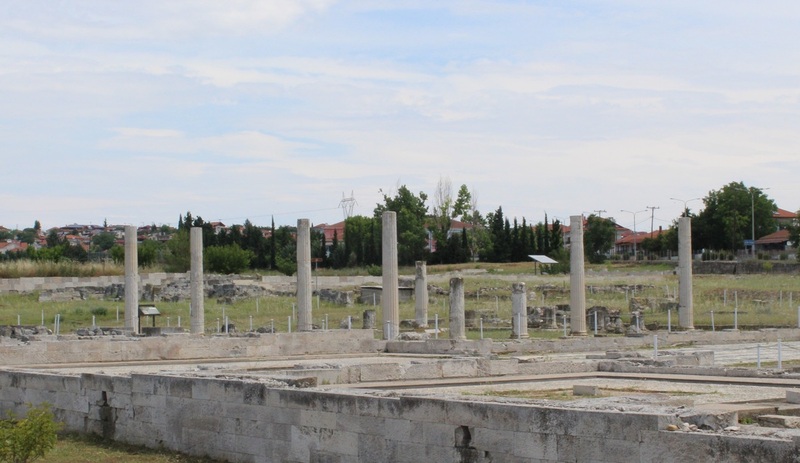 The Romans also developed the site so it has Roman and later Byzantine additions. 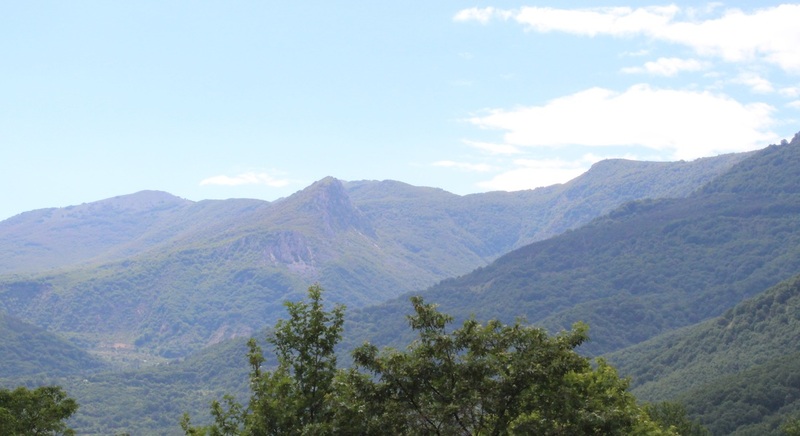 If you want to say hello to the gods, it is possible to drive part the way up the Mount Olympus range. Any higher requires some walking, or a trip on a mule train! Finally, even Thessaloniki hasn't forgotten the great man. There is a huge statue of Alexander on the sea front. I am 6' 2" standing in front of it! 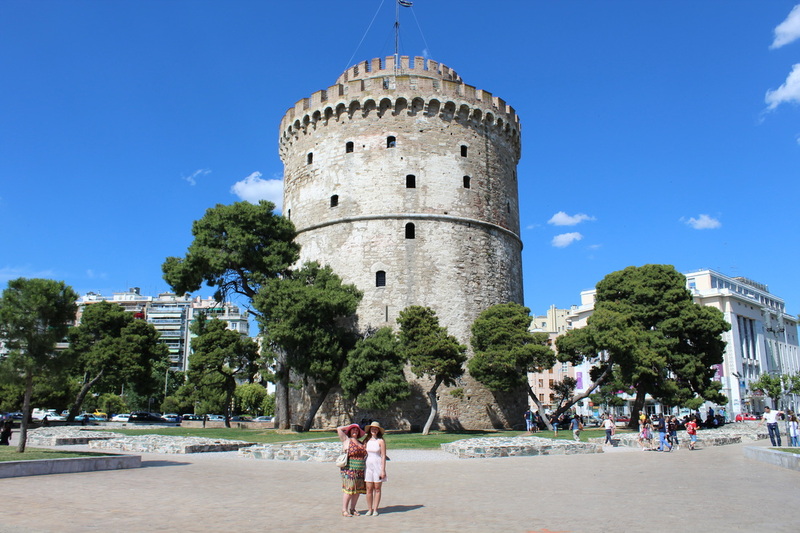 ​When in Thessaloniki, the Ottoman White Tower is also worth a visit. 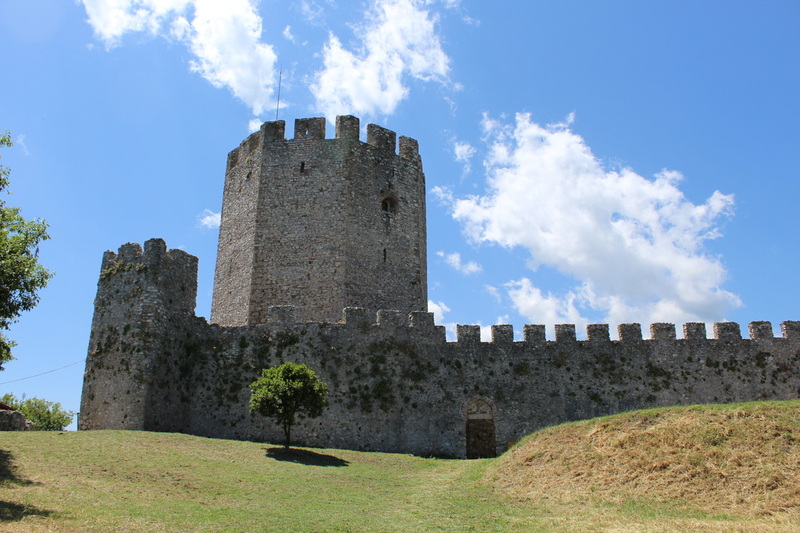 Macedonia doesn't have a lot of medieval sites, but there is a very fine medieval castle at Platamon. It commands a strategic position between Macedonia and Thessaly. There was a Roman fort here, probably destroyed by the Galatians. Then Byzantine and Franks before it was held by the Ottomans. It had a mosque and a minaret in those days. One of the very few good quality guidebooks in English as well. 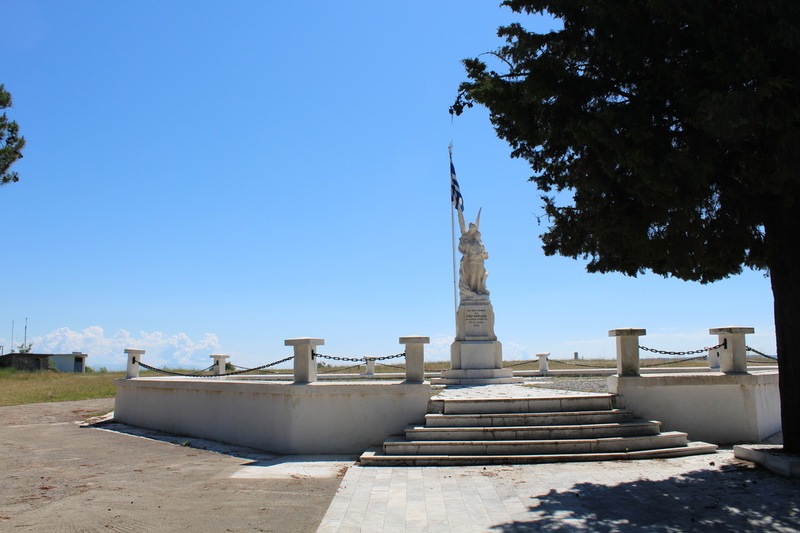 It is in very good condition considering the New Zealand Division fortified it in 1941 as part of the fighting withdrawal from the Aliakmon Line either side of Mount Olympus. The Germans bombed the castle and the New Zealander's withdrew to the Pinios Gorge, the Vale of Tempe of antiquity. I followed their route through the gorge, which is an excellent defensive position. The main reason for visiting Macedonia this year is the centenary of the breakout from 'The Birdcage' in WW1. I have covered the history in a feature article. I managed to cover the main battles of the campaign in a longish day. As British troops found in WW1, mosquito repellent is still required! 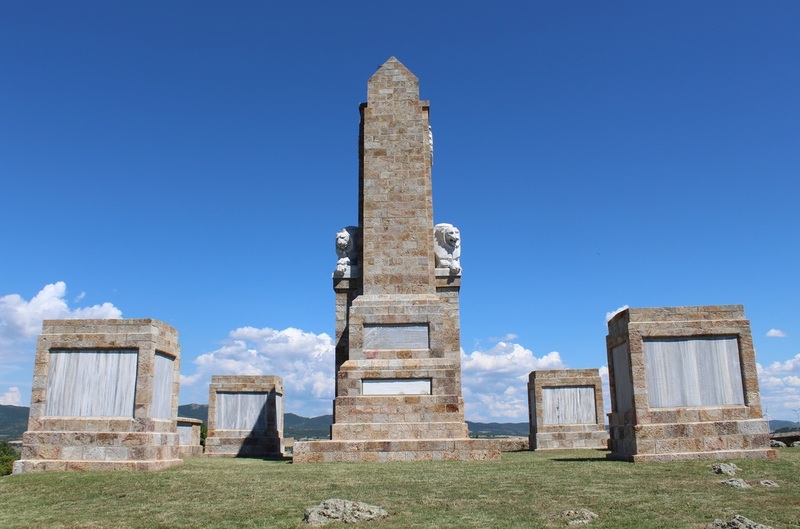 My first stop was an earlier battle in in the 2nd Balkan War. 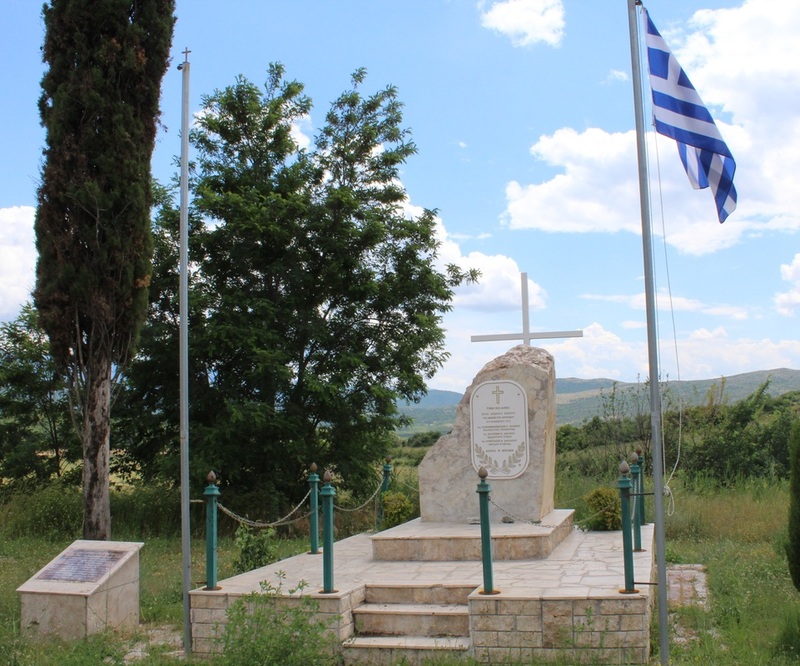 The Battle of Kilkis-Lachanas, fought between Greek and Bulgarian armies over three days in June 1913. This blog post outlines the action that resulted in a Greek victory. 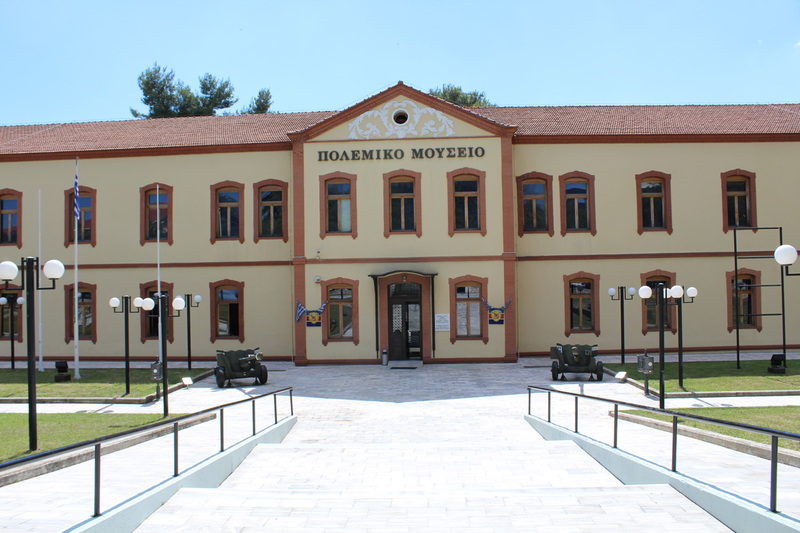 There is a memorial and a small museum, sadly closed - a common theme on this trip with sites managed by the Greek army. There is also a WW1 link as Lachanas was a casualty clearing station for the Struma front. 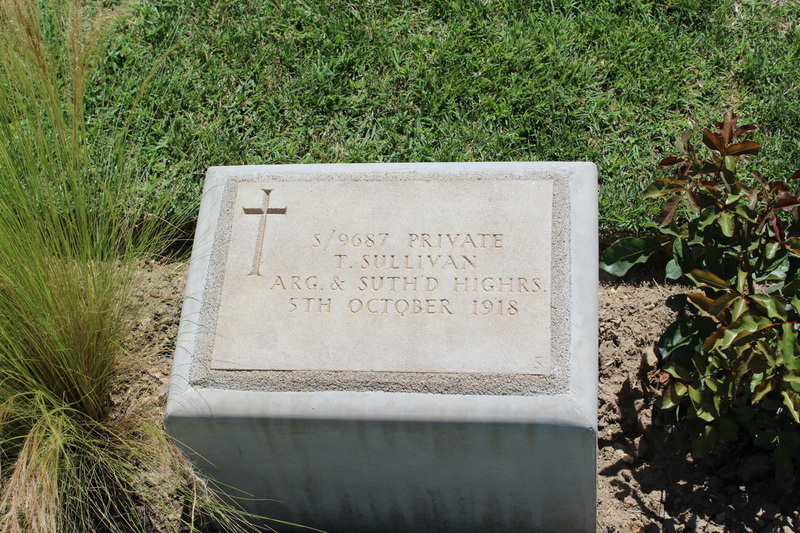 There is a British cemetery there. 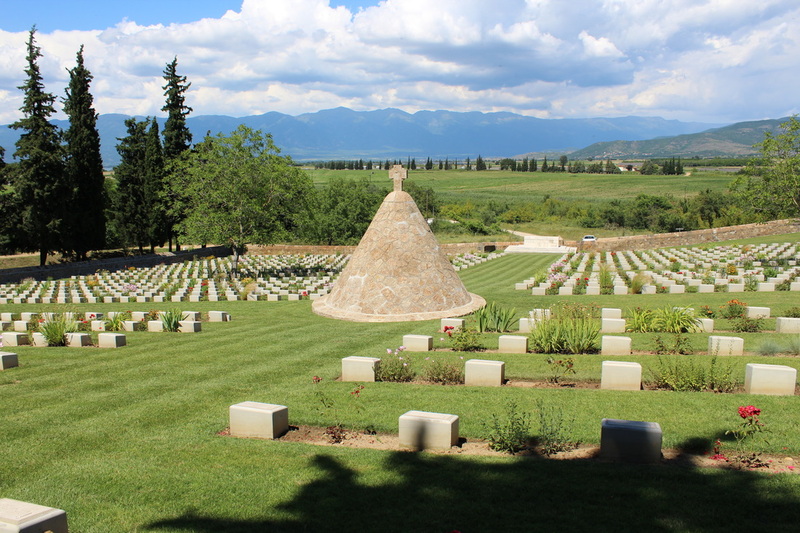 The Struma Valley cemetery at Strimenko is an oasis of tranquility. 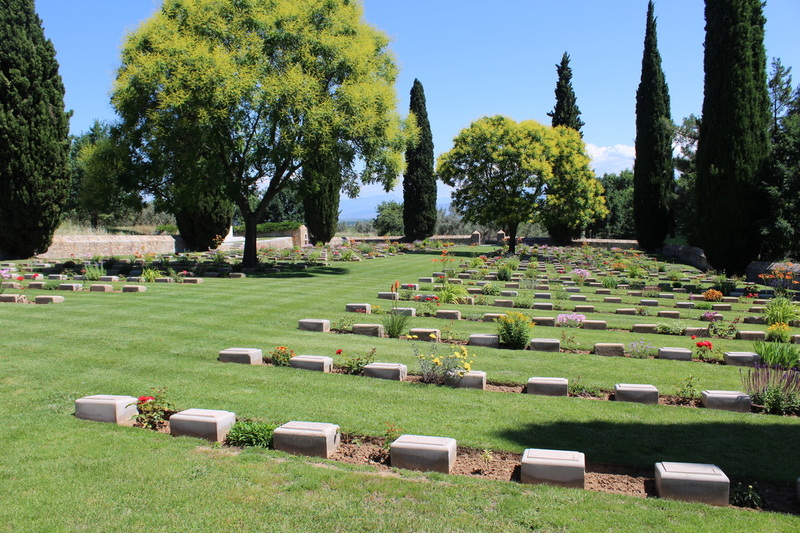 A real credit to the Commonwealth War Graves Commission and the fine work they do maintaining these cemeteries. Moving on to the Struma Valley. Between 1916 and 1918 two British divisions and some Greek forces fought mostly Bulgarian and Turkish units on this front. I imagined the valley to be narrower than it actually is. The terrain is wide and flat, although even today very boggy. I visited the villages that were the target for one such action described Wakefield and Moody (Under the Devil’s Eye), then called Yenikoi, Karajakoi Zir and Bala. Between 30 September and 4 Oct 1916, 81 Brigade (27th Division) captured the villages after fierce fighting and fought off Bulgarian counterattacks. The villages today are larger with mostly modern dwellings, so it is difficult to picture the action. Although this photo gives a flavour of the terrain. 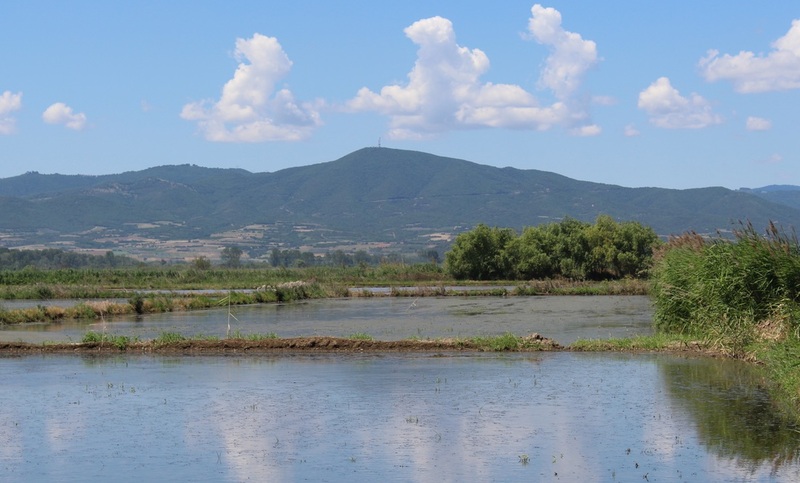 The hills in the background were the British positions. From the Struma Valley I drove up to the Rupel Gorge on the Bulgarian border. 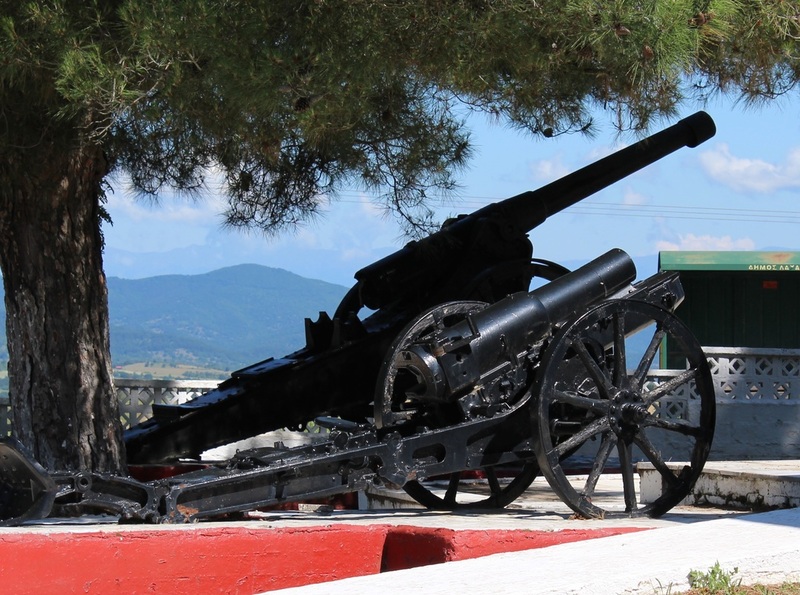 In WW1 the Greek army abandoned Fort Rupel, but in WW2 they fought an epic defence against German mountain troops. Sadly, yes you guessed it - it was closed! The next stop was the main British battlefield of the campaign - Lake Doiran. In August 1916 the allied advance out of Salonika reached Doiran, a strong defensive position with hills rising from the lake. Three French and one British division attempted unsuccessfully to displace the Bulgarian 2nd Thracian division with heavy casualties. Both sides dug in and conventional WW1 trench warfare ensued. In April 1917 the British amassed 43,000 men, 160 guns, 110 mortars and 440 machine-guns for an assault on Doiran, now defended by 9th Pleven Division. Successive assaults failed to make significant progress. The third battle of Doiran in September 1918 followed a similar pattern, this time the British forces were reinforced by Greek divisions. However, despite a massive artillery bombardment and initial success, very little progress was made. 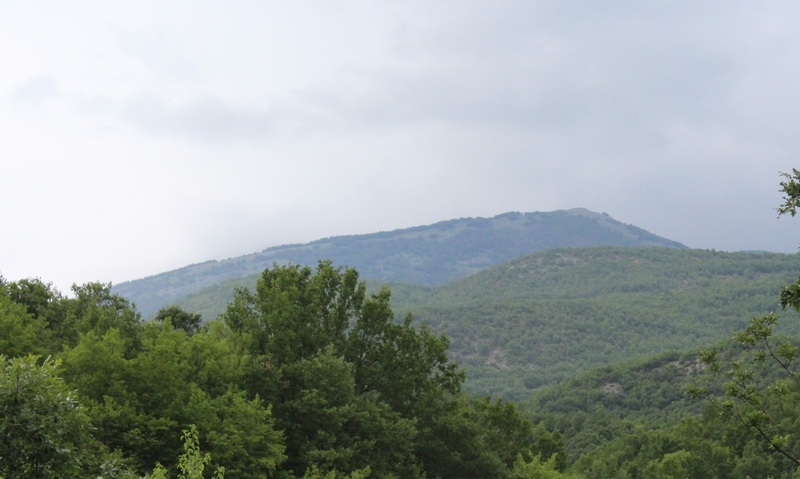 It was the Serbian and French success in the Vardar Valley that forced the Bulgarian army to withdraw from Doiran. British lines west of Colonial Hill. On a different day, I travelled up into the mountains on the FYROM border to what was the French and Serbian sector in WW1. While the British attacked at Lake Dorian the Serbian and French divisions attacked Monastir. The capture of Monastir would enable a flanking of the strong Vardar defences, if it could be captured before the autumn rains. The key Bulgarian position was on the twin peaks of the Kajmakcalan mountain, a 1500 yard ridge, 8200 feet up at the highest point. 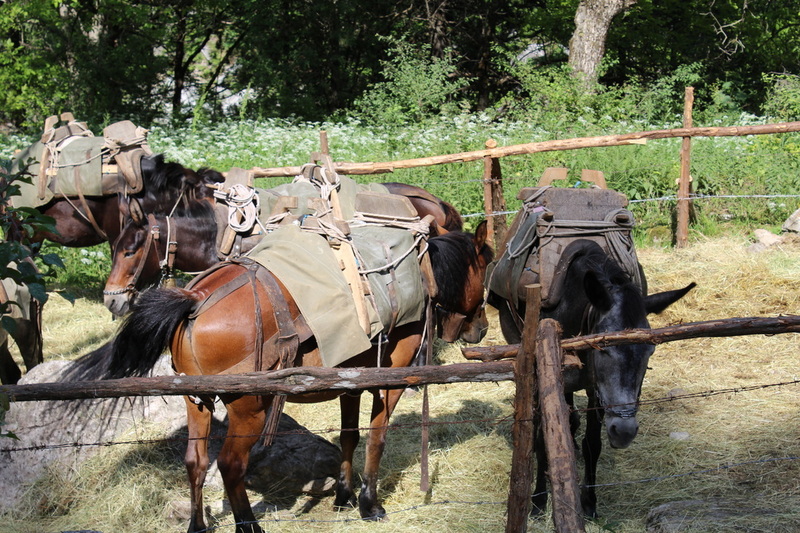 This was taken by the Serbian First Army (General Misic). This battle is covered in a feature article together with pictures from the FYROM side of the border take by Tom Bierschenk. I was keen to have a look at the battle from the Serbian positions. Whichever way you look at it, capturing this mountain was an impressive feat, as the terrain shows. 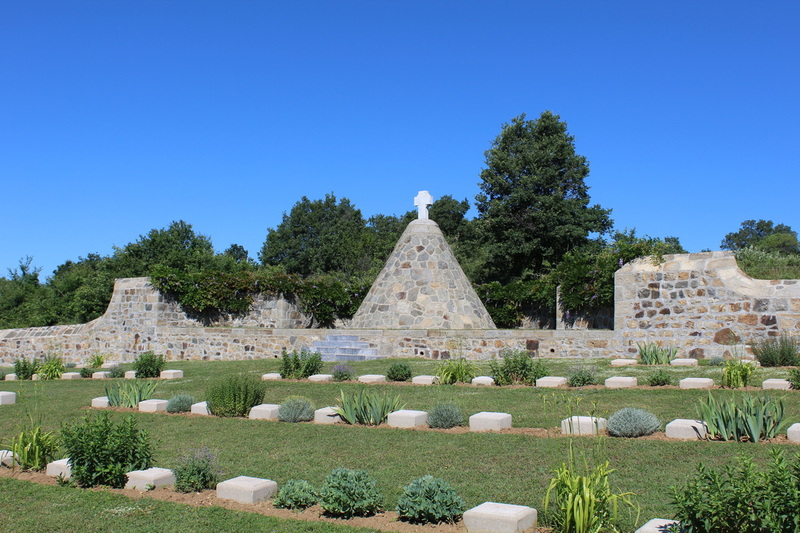 And here is a memorial to an earlier battle below the mountain near the village of Arnissa between the Greek and Ottoman armies during the First Balkan War. There is a museum of the Balkan Wars on the road to Pella. However, yes you guessed - it was closed. 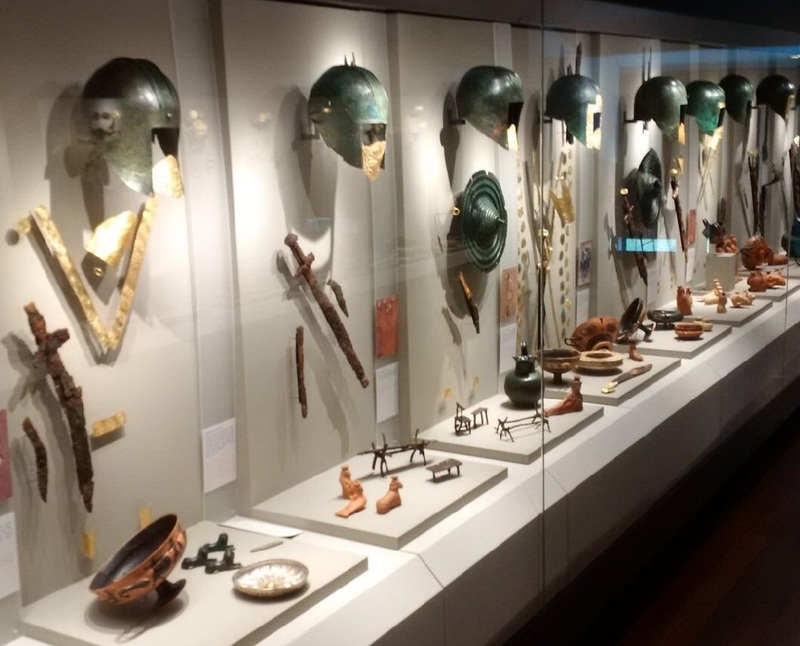 Finally, while I didn't have much joy with museums managed by the Greek Army, the one exception was the war museum at Thessaloniki. A well laid out museum with some interesting collections. Most importantly, it was open! 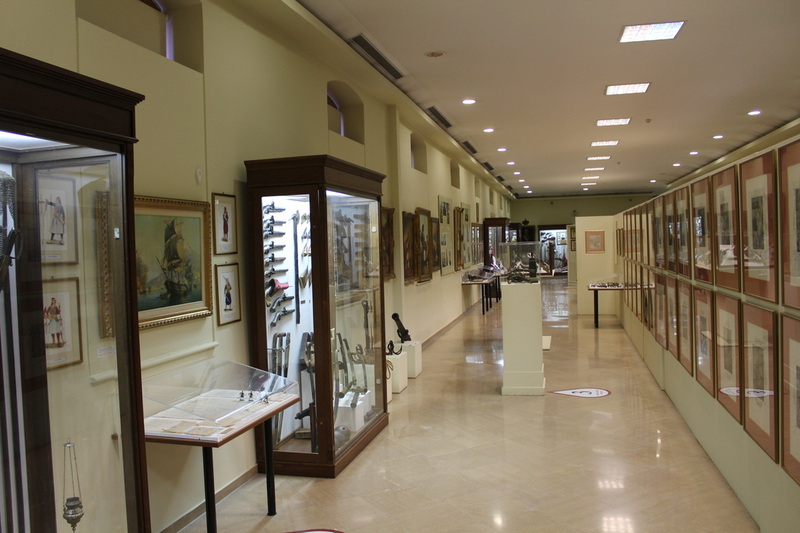 Also in Thessaloniki is the Byzantine Culture Museum, which also worth a visit.